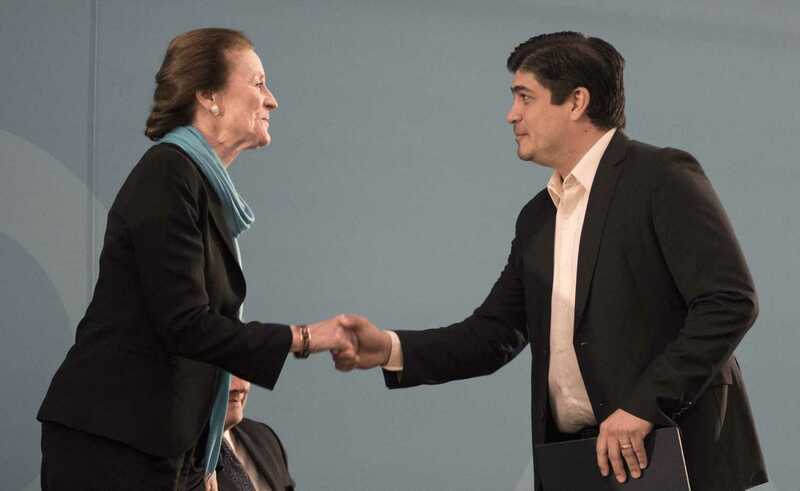 ULLOA, Heredia — Along with ministers from nearly 60 countries, Henrietta Fore, the executive director of UNICEF, attended this week’s Sanitation and Water for All (SWA) Sector Ministers’ Meeting at Costa Rica’s National Convention Center. The event, held on the heels of the Latin American Conference on Sanitation (LatinoSan), featured government officials and stakeholders from across the world who gathered to support the water-related targets of the United Nations’ Sustainable Development Goals. The Tico Times sat down with Fore to discuss her role as UNICEF’s executive director, and the organization’s goals in Costa Rica and Central America. Excerpts follow. 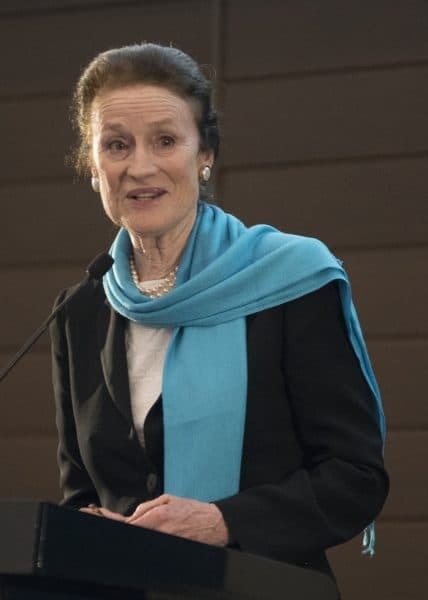 You have been UNICEF’s executive director since January 2018. What have your priorities been since then? It’s very interesting leading an agency like UNICEF because you have a chance to hear children and young people all around the world — what they dream about, what they worry about, what they hope for. I will tell you what I hear: The first is that they would like to start being in school earlier. But a kind of school that’s early child development, where they can go to class and move around, can learn about the beginnings of colors and numbers. They want to begin to learn earlier, and maybe that’s true now for all of us — that youth is speeding up, that we’re knowing more at earlier ages in life. The other thing that they’re telling us is that they’re not learning enough in primary school. They’re not coming out of primary school knowing how to read, write and do mathematics. Six out of 10 children and young people do not meet the minimum standards. And that does not bode well for their futures. And then the third thing that they’re telling us is that when they’re in that second decade of life, they’re not engaged in their secondary school. They find it’s boring; they don’t feel there’s any purpose in it. They’re not preparing themselves for the life that lies ahead. They’re learning things that are irrelevant to making a living. And for many, it’s that they’re not learning digital skills. So when you look at that, you say we as a world are somewhat failing them. We ought to be able to do more. We ought to be able to do better. As the executive director as UNICEF, it’s up to us to talk to governments about how they can improve, to talk to the private sector, the civil sector, and to make sure that children and young people’s voices are heard. You participated this week in an event with Costa Rican children at Heredia’s Centro Cívico por la Paz, a civic center which hosts UNICEF programs. What work are you focusing on with youth here? The children and young people we spoke to were gathering in safe spaces so they would have a chance to talk to each other. One young man was talking about the fact that he’d been bored at school — that he didn’t want to go to school, that Monday mornings were a real chore. But then he came to the center and he found friends, and he found ways to engage. He found things that he was interested in. It changed his mind, and it changed his outlook. They also talked about the fact that many of them had been very shy, and that they had not wanted to talk to others. That they had been lonely: there was a deep loneliness about not having a friend to talk to. What they’d found in these centers is an empowered voice, either through theater, or having a friend, or through having an issue or a mission — like more empowerment for girls — that they felt close to and therefore they wanted to speak, they wanted to engage. What you see is that you can make a difference in individual lives if you work at it. So for these groups — everything from generation courage to a group that works with young people who are disabled — it’s extremely important that we are inclusive societies and that we see the worth in everyone. This Sanitation and Water for All meeting is timely given drought concerns in Costa Rica and Central America. What is UNICEF’s approach? Let’s take an area that often has drought: South Sudan. The dry season is often called the lean season because it really gets dry. We have programs where we’re helping women in villages have tap water. When you realize that people in the villages can help themselves if you get them the basic necessities, it changes lives. UNICEF works in humanitarian crises, and it also works in longer term development. So to your point about droughts, sometimes in the beginning they are dealt with as a crisis. But there is always a long term development. Water is one thing we need as human beings, so you should always think of it in a development context. It should not be that you truck in water for a day, but rather that you set up a system that can help people for a lifetime. How has UNICEF dealt with Central American immigration, specifically with Nicaraguan migrants to Costa Rica? UNICEF works with nonprofit organizations and with governments — every aspect of society, as well as businesses. What we’re trying to do is to help improve the environments in all of these countries so that young people and families want to stay, that there’s quality education, there’s a quality life. It’s their country; they’d prefer to stay at home. That’s what we need to encourage. You need to make sure there’s an economic engine for livelihood in every community. What we teach people in school is part of what they then know for a later livelihood. We need to make sure that the classroom is a place where you can learn foundational skills, but also life skills and occupational skills so that you can make a livelihood for yourself. You spent time this week in Honduras, a country for which the United States has threatened to cut humanitarian aid. What are your thoughts? I think foreign assistance is very important. The work you see being done by multilateral organizations, bilateral organizations, nonprofits, local governments and businesses — it all become the fabric that makes a society strong and healthy and good, in particular for children and young people. So we all need to work together and to try and make all of these societies strong and resilient.